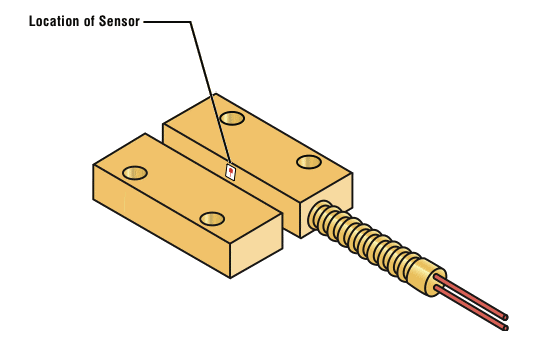 Magnasphere Sensor Technology: Recessed Proximity Sensor 070. NORAMs sensors, made with MAGNASPHERE switch technology, are ideal for rigorous applications where hermetically sealed, non-contact switching and sensing are required. 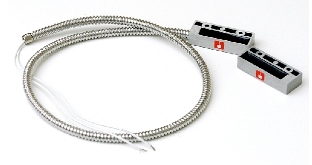 Magnetic proximity sensor 070 features a normally open MAGNASPHERE switch housed in a rugged aluminum housing with stainless steel armored cable. Ideal for use in industrial applications. Rare earth magnet actuator in duplicate aluminum housing is included.